Acertrees have been providing homeowners with tree surgery since we were founded nearly two decades ago. 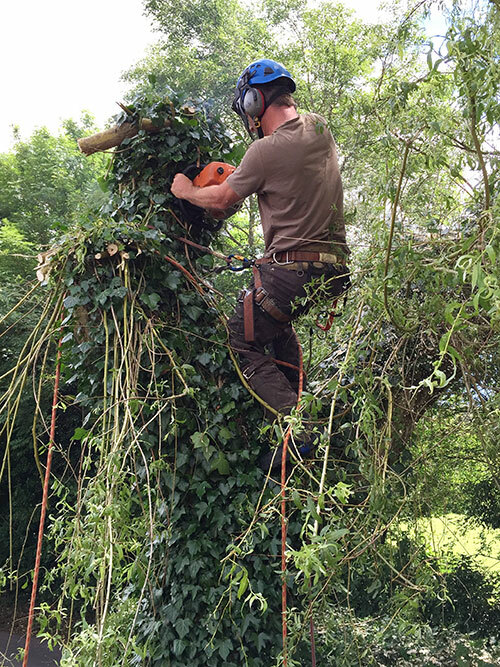 From our base in Bromsgrove, we can carry out hedge and tree reduction, reshaping, and removal, as well as a range of other arboreal services. Our customers know they can rely on us to be there when we say we will be, and we work hard to ensure gardens are left looking nice and tidy when we leave. Acertrees have a reputation for being honest, hardworking, and trustworthy, and many of our customers come back to us time and time again. We offer competitive prices for professional work. Not sure where to start? We’re always happy to offer advice, free of charge. Just get in touch with our team! "We have used Acertrees on several occasions. We have received 5 star service - Craig and the team are very friendly and reliable, punctual and extremely efficient. Highly recommended. Well done guys - keep up the good work."